Clean hotel facilities. Clean rooms. Nice building. Spacious rooms. 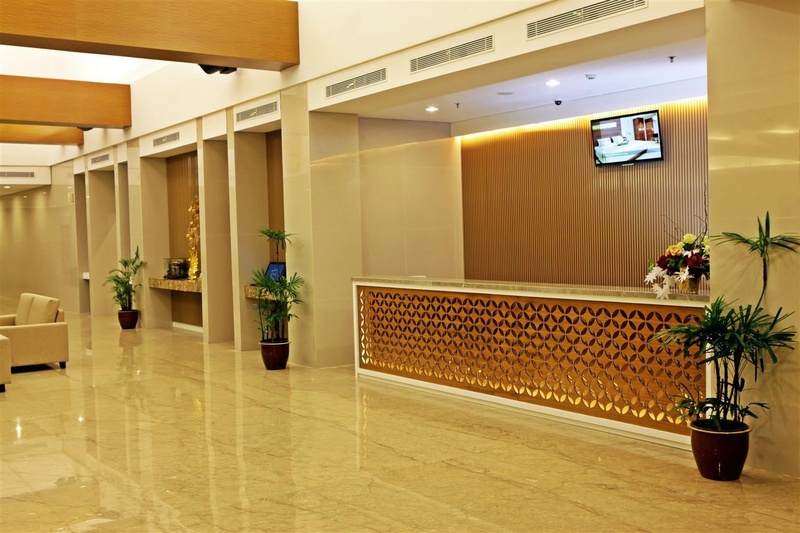 Maestro Hotel Kota Baru is a popular choice amongst travelers in Pontianak, whether exploring or just passing through. The hotel offers a high standard of service and amenities to suit the individual needs of all travelers. Take advantage of the hotel's 24-hour room service, free Wi-Fi in all rooms, 24-hour security, convenience store, daily housekeeping. Guestrooms are designed to provide an optimal level of comfort with welcoming decor and some offering convenient amenities like television LCD/plasma screen, cleaning products, clothes rack, complimentary instant coffee, complimentary tea. The hotel offers various recreational opportunities. Discover all Pontianak has to offer by making Maestro Hotel Kota Baru your base. Near mosque. Near by city center. Narrow parking. Excellent city hotel. Good for sightseeing. Great room. Toilets and beds are clean. Clean hotel. Clean room. Good hospitality. Friendly services. Good housekeeping. Centralized aircon. My fav room. Toilets and beds are clean. Delicious breakfast. Excellent breakfast. Best breakfast.